In 2018, The Doe Fund made great progress on organization-wide initiatives, developed supportive and affordable housing facilities, and saw some remarkable program outcomes for graduates of Ready, Willing & Able. Read on for more about our accomplishments over the past year, thanks to generosity of Doe Fund supporters and the determination of the Men in Blue. In 2018, 206 men secured their independence by completing the Ready, Willing & Able program. Of those men, 73% maintained a job for three months or more after graduation, with an average starting hourly wage of $14.12. This program has helped men leave the prison system for good—Ready, Willing & Able graduates are 57% less likely to have felony charges in the future. We also supported men in receiving 110 vocational certifications in total, removing yet another barrier in the job application process. The Doe Fund’s new Criminal Justice Program provides personalized services and support for Ready, Willing & Able trainees who have been incarcerated. It begins with a comprehensive assessment to determine the services each trainee requires to become self-sustaining. Trainees are also welcomed to group sessions that address self-defeating thinking and behaviors, and impart positive social and work values. 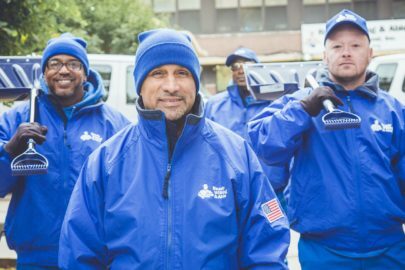 By assisting trainees in obtaining their criminal records, ensuring that parole officers are on site to meet state supervision requirements, and reserving 400 beds across our facilities for those released on parole from state custody, we help formerly incarcerated trainees take the next steps toward independence. 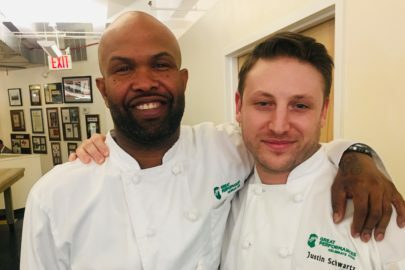 Second Chance Forum: In July of 2018, The Doe Fund hosted a Second Chance Forum, an event that brought together over 200 members of the public and Ready, Willing & Able trainees to hear from an expert panel about finding success after incarceration. It’s Your Right: Register to Vote: In September, following the Governor’s executive order to restore voting rights for people with felony convictions immediately after release from prison, The Doe Fund held an It’s Your Right: Register to Vote event. There, formerly incarcerated individuals were able to register in time for New York’s General Election on Nov. 6. The Doe Fund’s latest documentary provides an intimate look into the lives of two men who came to Ready, Willing & Able after decades of incarceration: Sean DeJesus and Lawrence Wade. The documentary captures Lawrence and Sean’s respective journeys re-entering society—reconnecting with family, preparing for employment, and rediscovering their identities. In August, we opened 82 units of affordable housing in the Bedford Park neighborhood of the Bronx. The project, known as “Webster Green,” is a sustainable housing development that provides high-quality, affordable homes to low-income families and individuals, as well as community spaces for residents of the surrounding neighborhood. 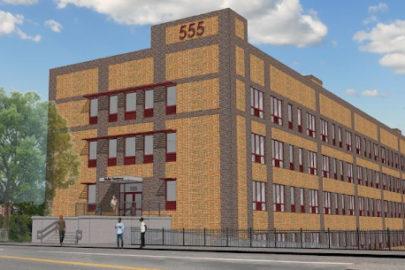 In December, The Doe Fund broke ground to launch the construction of 68 units of affordable and supportive housing at 3188 Villa Avenue, located in the Bedford Park/Special Grand Concourse District of The Bronx. There, we will provide on-site supportive services to residents and amenities, including: 24-hour security, energy-efficient appliances and building systems, and shared community spaces.